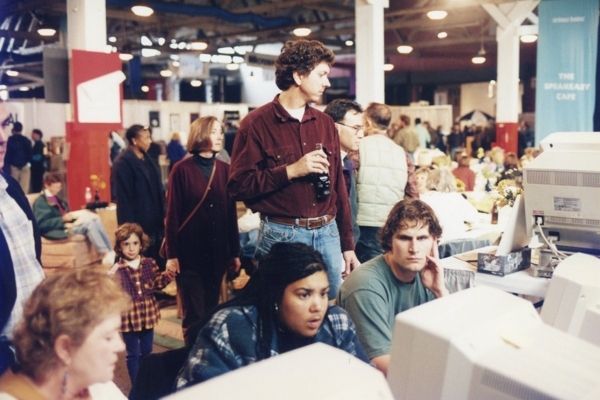 The Internet itself was gaining more interest, and its unique ability to connect people all over the world in real-time was documented by projects such as 24 Hours in Cyberspace. 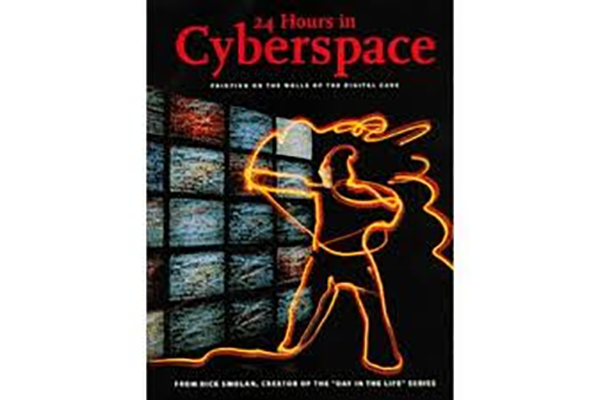 In addition to its in-house Internet access, the Speakeasy crew had coordinated with a smattering of cafes around the city to host RAIN (Remote Access Internet Nodes) terminals, as well as launched dial-up service to the select few who had the gear with which to connect at home. 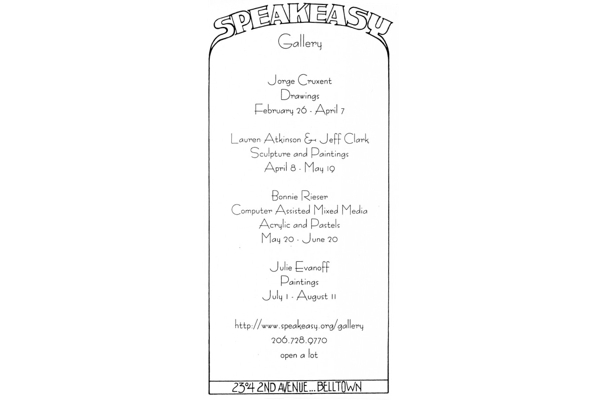 These were the first steps in establishing Speakeasy as more than just an Internet cafe -- it was now on its way to becoming a full-fledged ISP. 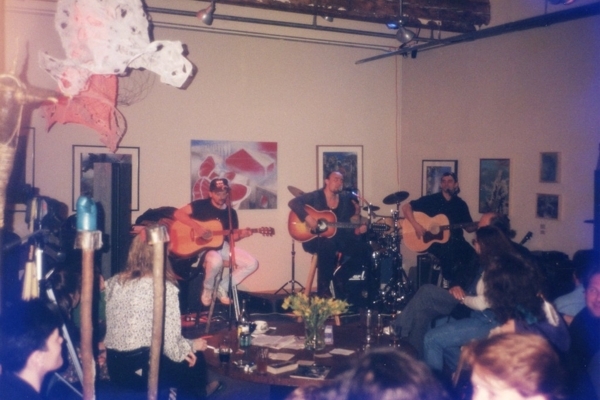 Another way it differentiated itself in the community was through its support and showcasing of a variety of independent artists. 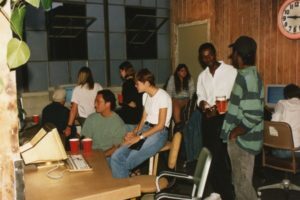 From hosting local jazz and visual art in the front room to its innovative film and theater programs in the back room, the cafe welcomed creatives of all types. 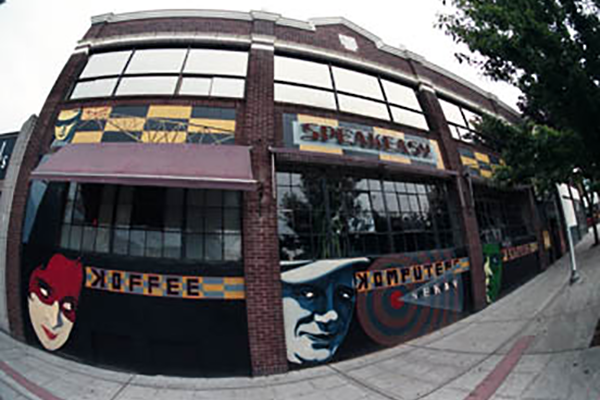 Seattle itself was starting to revitalize its downtown neighborhoods, and the arts were helping to transform once-derelict areas into attractive destinations. 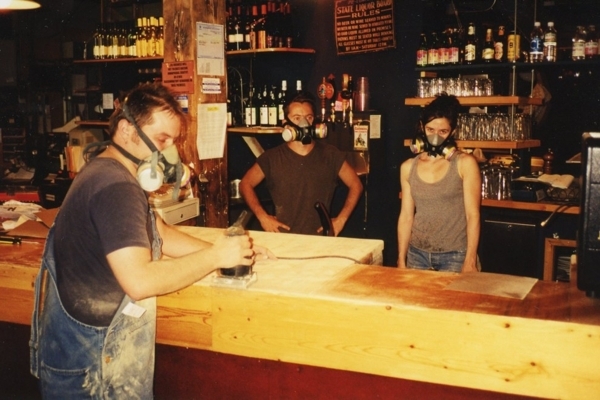 Look, just because you created a cafe, theater, and art gallery out of the pure nothingness of a warehouse doesn't mean you don't have to take a belt sander to a counter every once in awhile. 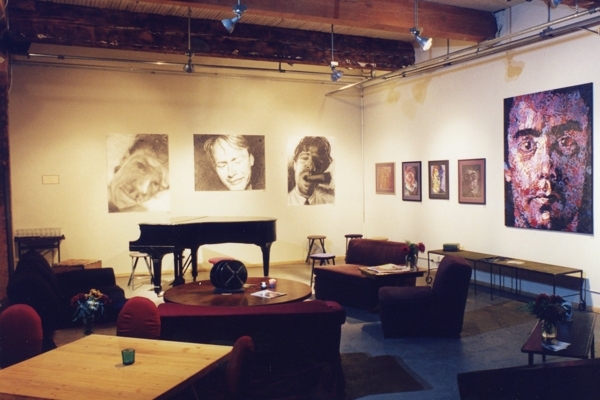 The cafe's lounge with an art installation and the grand piano. 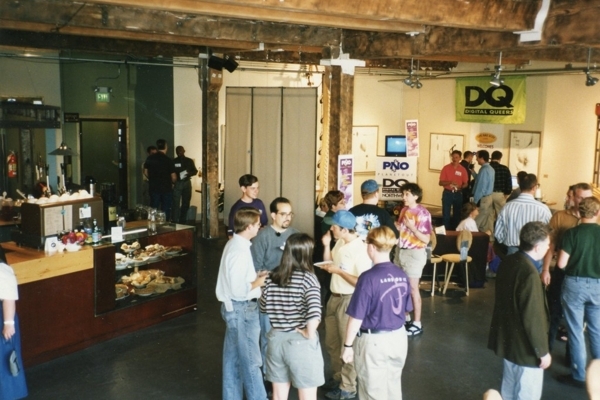 The queer website Planet Out used the cafe for regular member networking events. 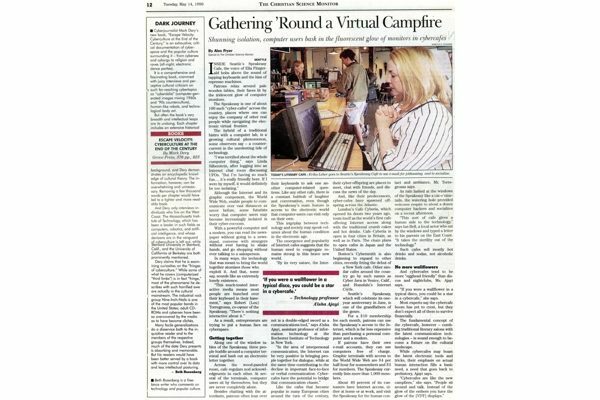 Mike Apgar helping the rumpled masses navigate the internet. 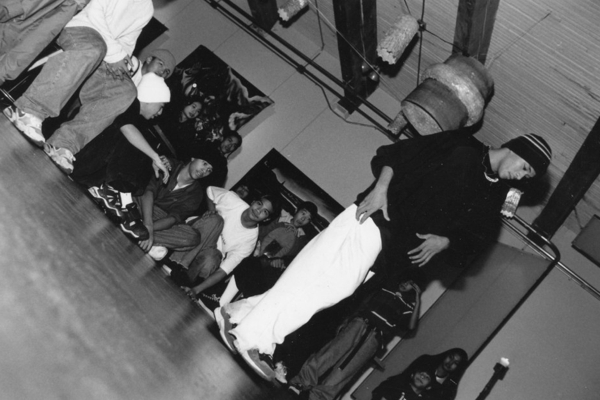 With photobomb. 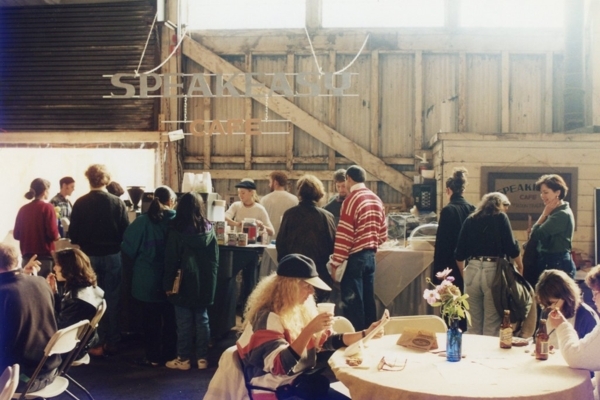 The crew served up espresso to the attendants at the festival. 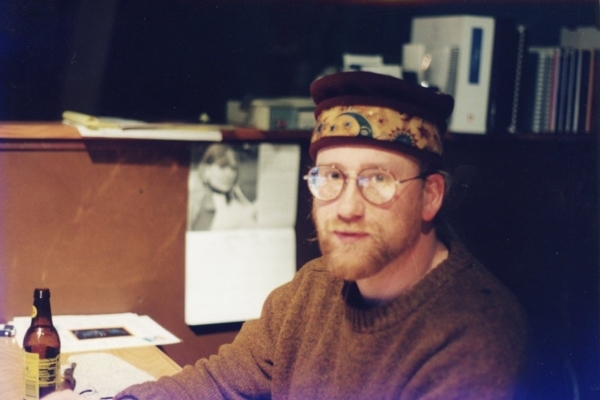 Mike Apgar seems genuinely alarmed by whatever is going on during Northwest Bookfest. 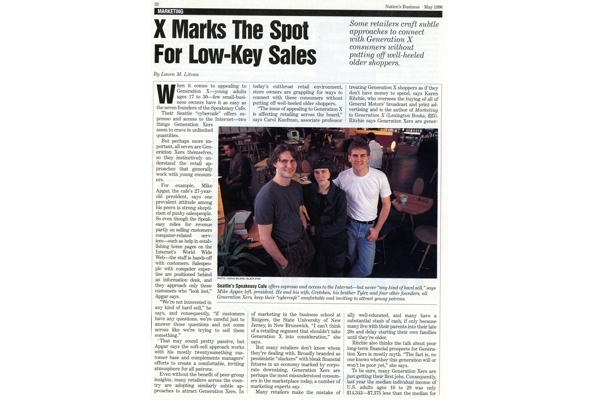 Derek Kavan and company, serving up coffee with not a small side of attitude. 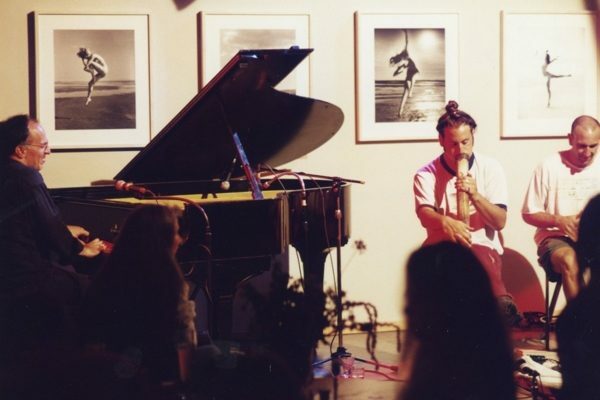 A snapshot of one of the cafe's regular performers, Alex Guilbert and his quartet. 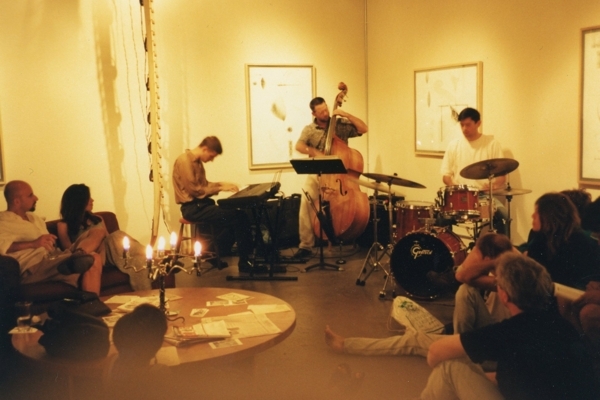 It wasn't uncommon for the cafe to be filled with jazz lovers, coffee conversationalists, and budding web geeks on weekend nights. 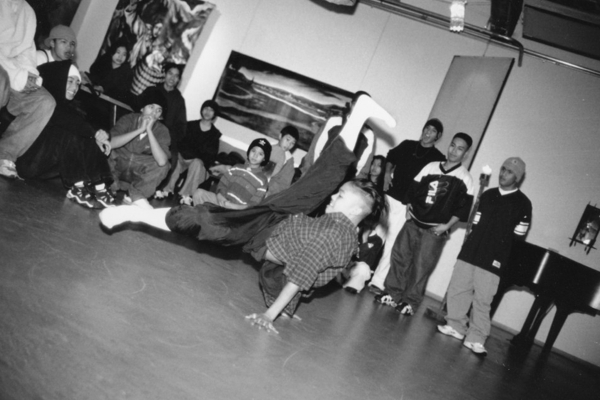 Speakeasy regularly hosted community events, such as street dance performances and competitions. 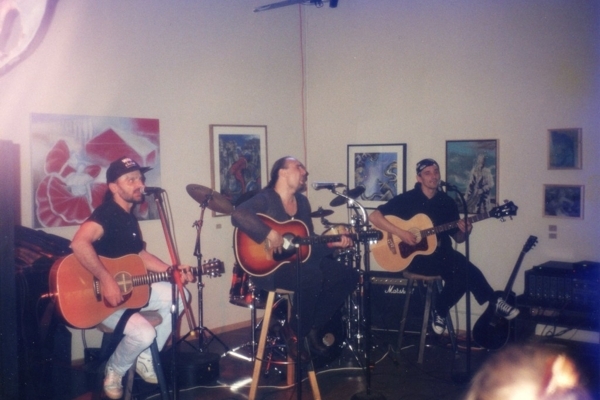 Avant Garde Eastern European-inspired musicians performing at the cafe. 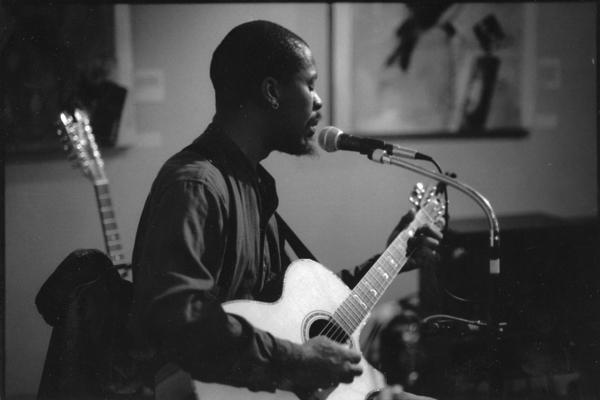 Talented musician Reggie Garret performing in the cafe's lounge. 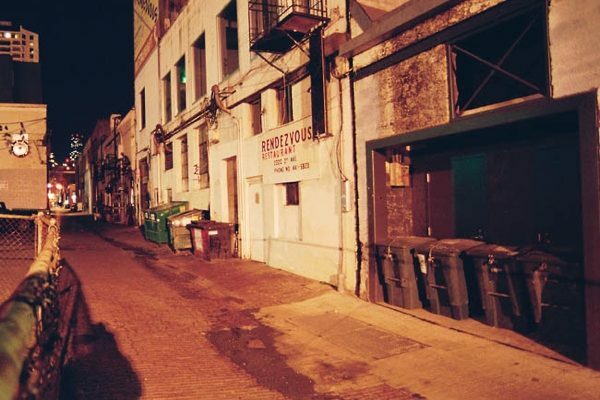 The 2nd avenue alley behind the cafe became infamous in that it was traversed by future rock stars. 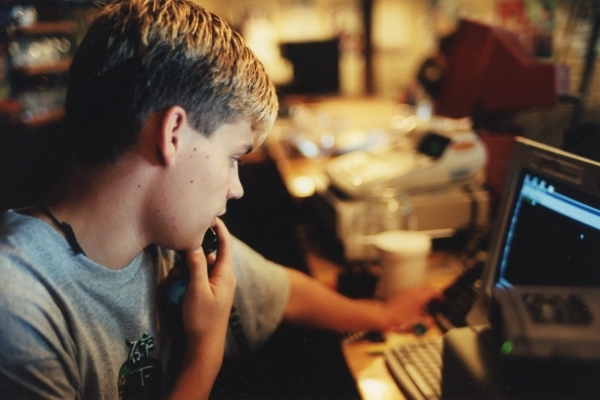 User BNelson in his formative years, working the cafe's NetDesk. 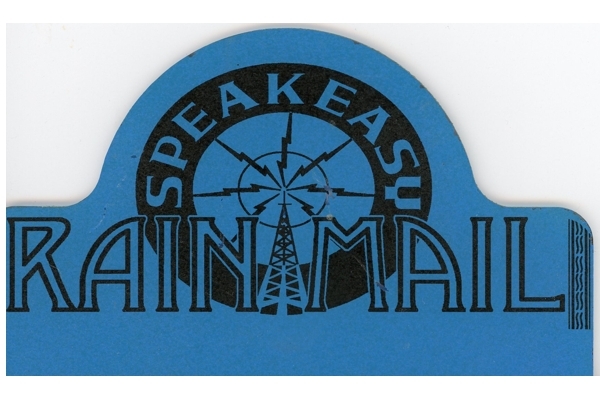 Chris was Speakeasy original SysAdmin. 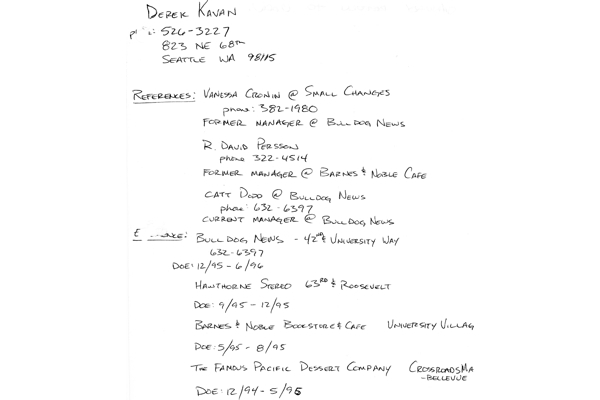 Derek Kavan was put on the spot during his interview at the cafe, so he wrote down his resume on a piece of old scratch paper. 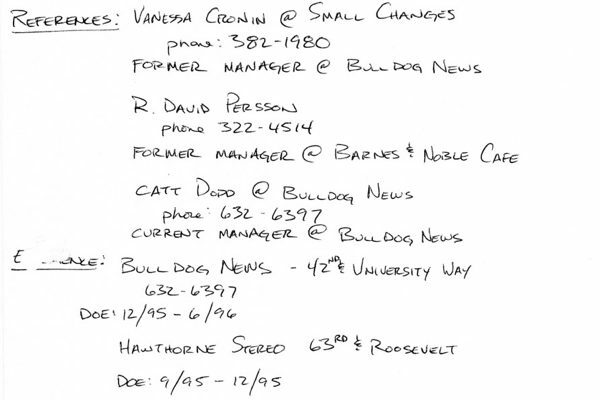 Note the excellent formatting and penmanship. 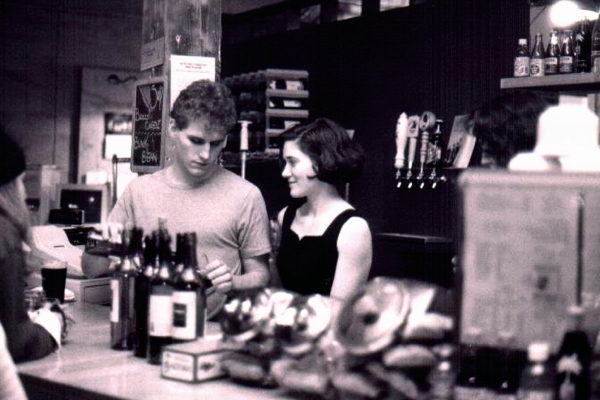 Tyler Apgar and Gretchen Apgar working behind the counter at the cafe. 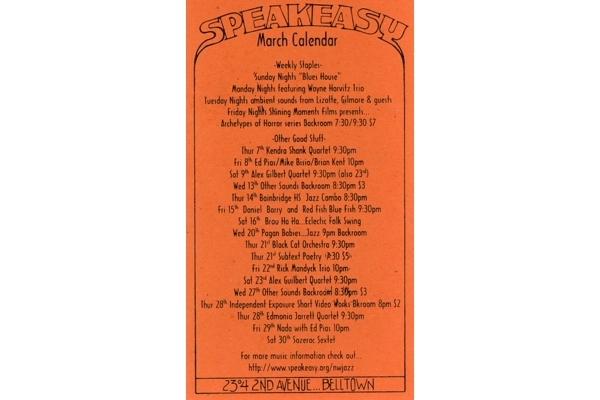 One of the cafe's first event calendar flyers. 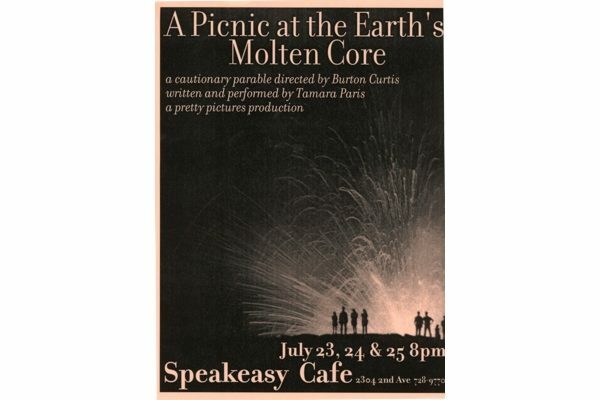 An early flyer for the cafe's art gallery. 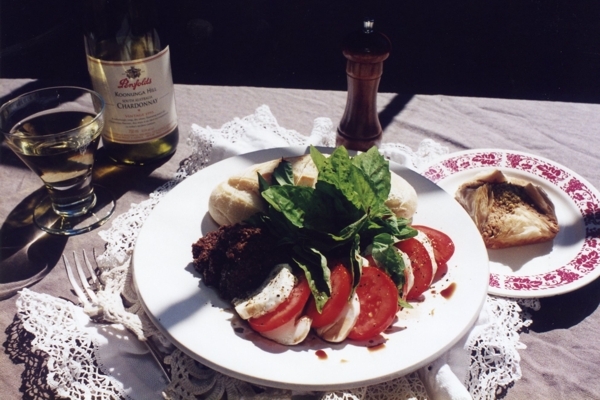 The cafe's popular tapenade plate. 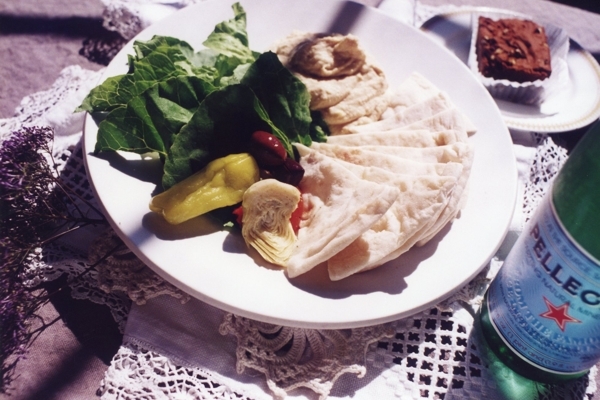 The cafe's delicious hummus plate. 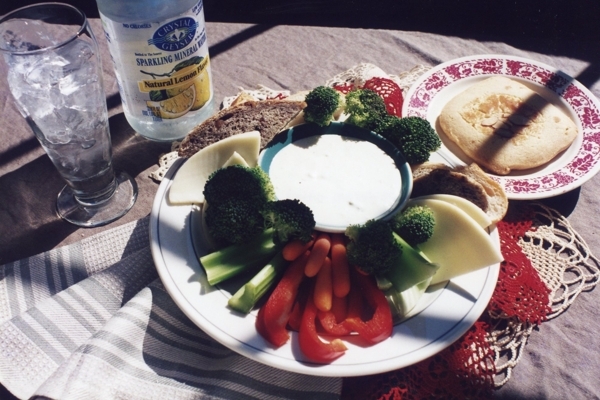 The cafe's veggie and cheese plate. 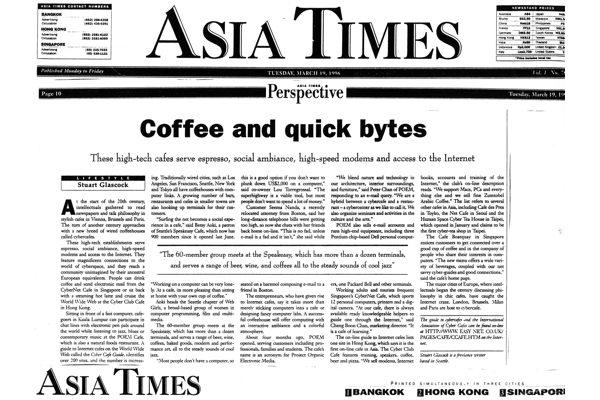 Speakeasy is featured in the international journal Asia Times. 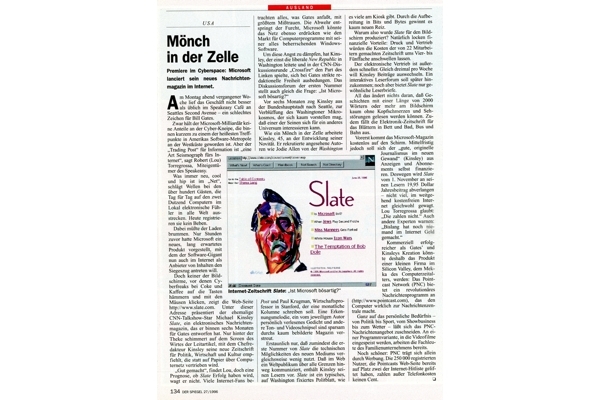 Speakeasy is featured in an article by the Christian Science Monitor. 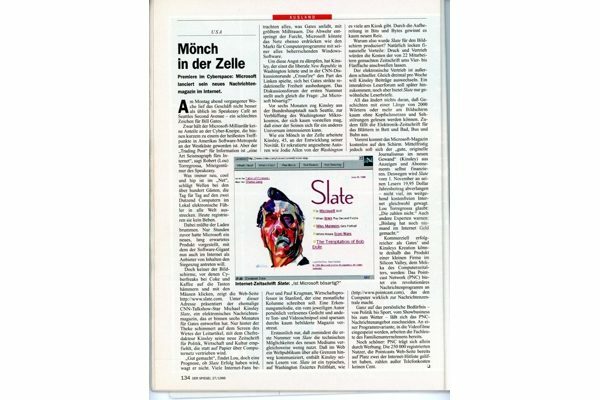 Speakeasy is featured in an article in German publication Der Spiegel, writing about the launch of internet communities and cafes. 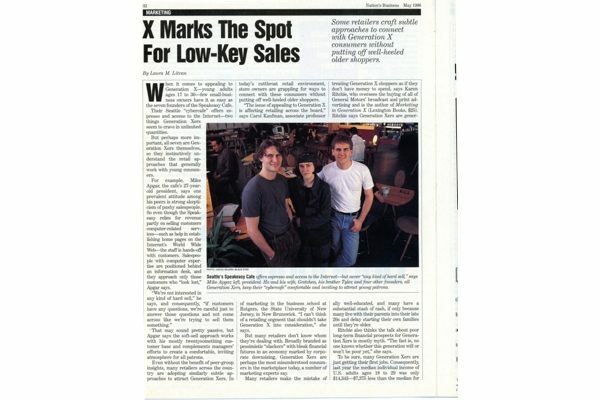 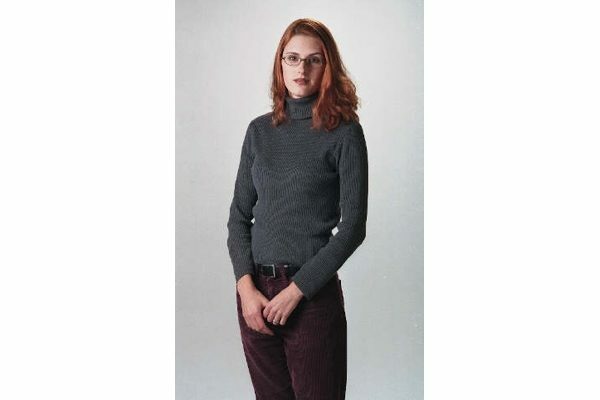 The cafe is promoted as a Gen X business in a national business-oriented newspaper. 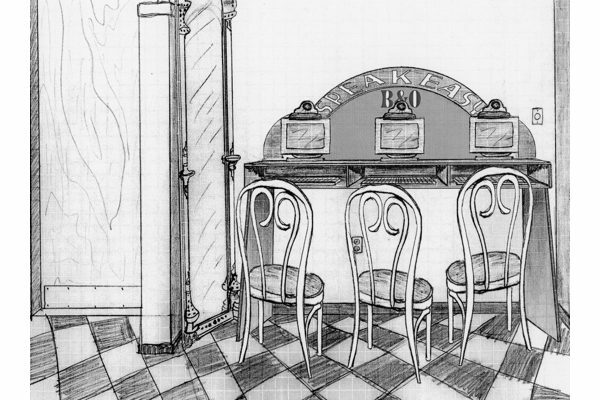 An artistic rendering of the concept of RAINMail kiosks located in different cafes around Seattle. 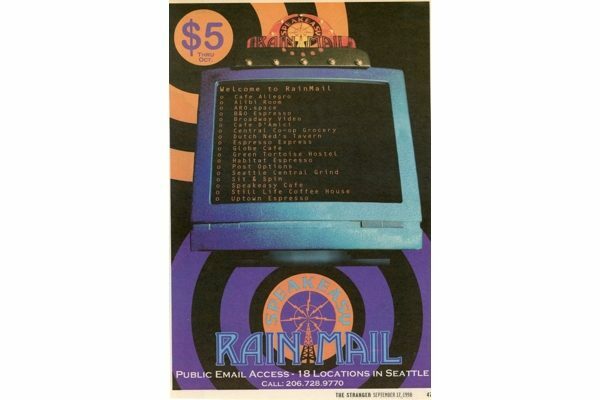 One of the original RAINMail terminal signs. 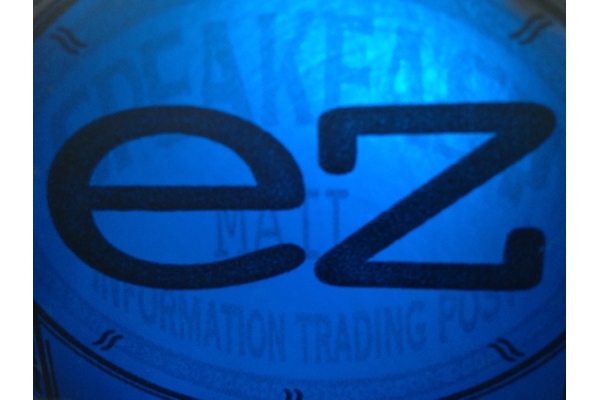 Another version of the RAINMail terminal signage. 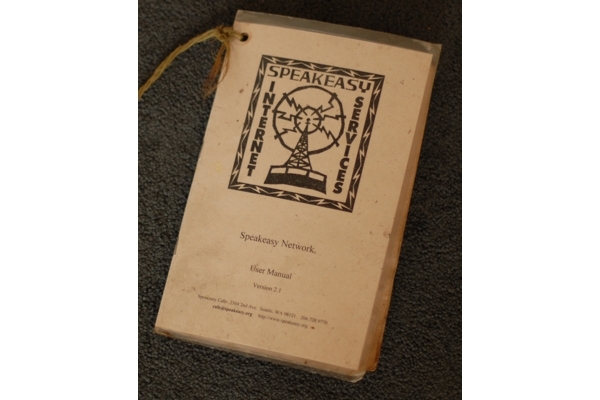 Speakeasy's first user manual, for the RAINMail and dial-up internet customers.